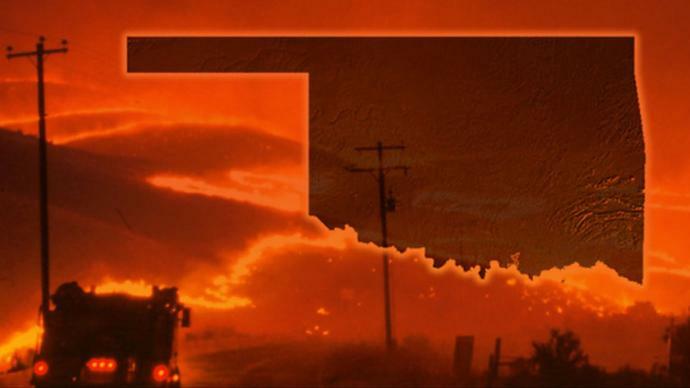 Wild fires are a serious issue in Oklahoma, especially western Oklahoma during the early months of the year. The humidity gets real low, there is a lack of moisture in the air, everything dries out, the land is arid, flat, and often plagued by cedar trees, creating the perfect environment for fire to catch on and spread. All that is needed is an initial spark and the Oklahoma wind will carry that lone flame into the most flammable environment thereby causing what can often be devastating levels of wild fire. Wild fires can cause millions of dollars in damage to farms, ranches, homes, cities, and towns in Oklahoma. Who is responsible? Can a person be held responsible? After all, fire is a natural and integral part of farming, ranching and rural life. Fire is necessary. Burning land is necessary. Eradicating cedar trees by cutting them down and burning them is considered prudent prevention of future fire liability. If you have questions about your own wild fire case, you can contact us for a free consultation. Travis Charles Smith is an attorney who represents landowners in cases involving damage to their land, including damage from prescribed or controlled burns of neighboring lands. If you have suffered injury or damage to your land as a result of another landowner’s burn activities, you are encouraged to contact us to determine your rights to recover compensation for the damage.